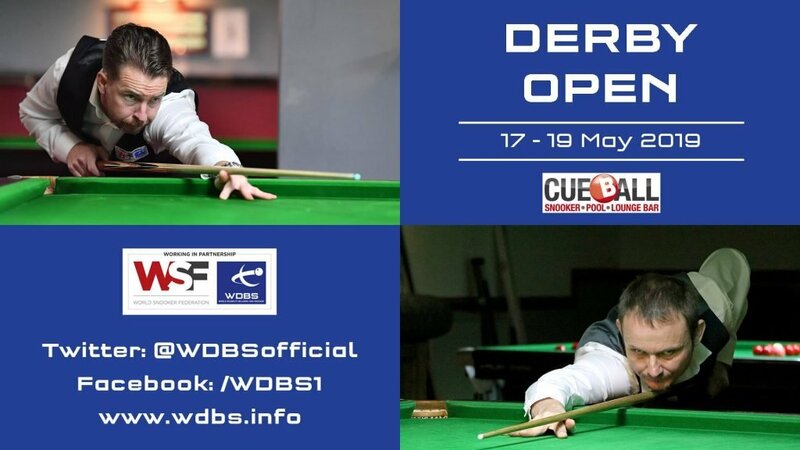 Entries are now being accepted for the Derby Open which will be held at the Cueball Derby from 17-19 May 2019. The event will include the final tournaments of the 2018/19 WDBS season for people with visual and hearing disabilities (Groups 7-8). 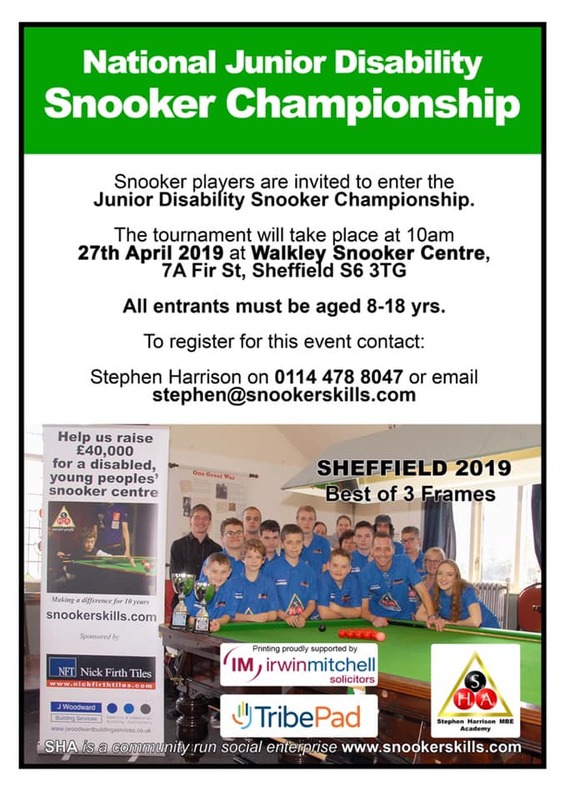 Once again the weekend will begin with a day of coaching and practice at which people with all disabilities are encouraged to get involved and participate in snooker. The day will be supported by our team of official WPBSA World Snooker coaches who will be on hand at the Go Green Energy Coaching Zone to help people enjoy the day.